ACCA is a world-renowned professional qualification which was first introduced in the UK in 1904. 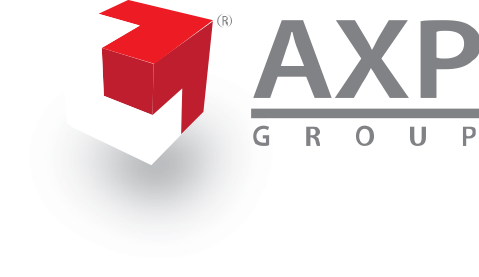 The Association is the largest and fastest growing international accountancy body in the world. Today, ACCA has 424,000 students and 147,000 members in 183 countries with an extensive network of offices and centres in nearly 82 countries. Wherever you may be, there is always support at hand. The aim of ACCA is to offer itself as the first choice of qualification to individuals seeking a rewarding career in accountancy, finance and management. With over a hundred years of experience in accounting and financial qualification, ACCA is widely respected. Every eight minutes, somewhere in the world, someone is registering himself or herself as an ACCA student. Does this mean that you will still stand out from the crowd? Most certainly! ACCA students and members are individuals in every sense of the word, unbound by the business-sector or country-border constraints. Reasons to choose ACCA as the route to a career in accountancy and finance. This professional qualification will provide you with skills and knowledge relevant to any business allowing you to freely choose the types of accountancy role and organisation you want to work for. ACCA is a global body for professional accountants with over 100 years of history. Accountants with this qualification are in high demand as employers all over the world recognise its reputation for quality, excellence and relevance. An exceptional introduction to the world of finance and accounting, these exams provide students with a broad understanding of essential accounting techniques. Building on your existing knowledge and understanding, Applied Skills develops strong, broad and practical finance required of future strategic professional accountant in any sector or industry. These exams provide students with the unique blend of skills, real-world focus and specialisation options which will super-charge careers and develop strategic, forward-thinking professional accountants. Strategic Professional exams are comprised of both Essentials and Options exams. Students will take both these exams which provide them with the skills they need to make an immediate impact with employers. These exams offer the unique opportunity to specialise in areas of greatest relevance to a chosen sector or career path. ** Please check with our counselor on the availability of each optional paper for each semester. Kolej Sunway Kuching has a structured approach in imparting knowledge to students. Each paper consists of a minimum of 28 lectures and tutorials, comprising 2 lectures per week of 3 hours each. Selected ACCA papers consist of 30 – 40 lectures. Attendance is mandatory for all lectures and tutorials. Exam Driven/ Exam Focus classes for each paper are compulsory, comprising a minimum of 18 to 21hours per paper. These sessions focus on past year exam questions and examination techniques. In addition, each paper carries three (3) internal assessments. These internal assessments signify one’s progress in their studies. Most students attempt 2 to 3 papers each semester and thus graduate in 3 years. However, ACCA grants up to a maximum of 10 years to attain its qualification. 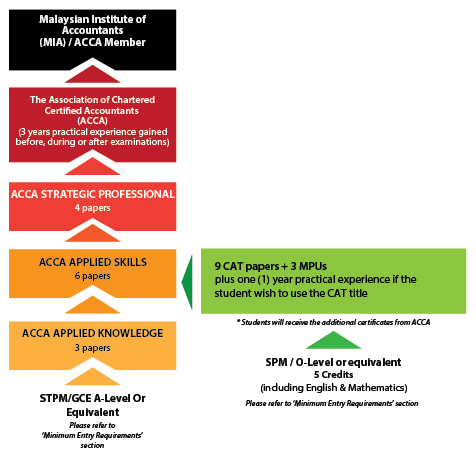 other equivalent qualification as approved by MQA/ MOE.